Discopop Directory: Stop everything. This is amazing. Stop everything. This is amazing. 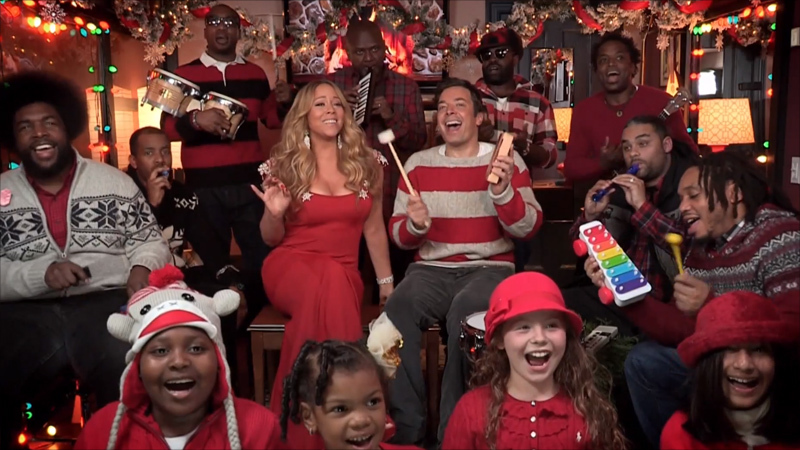 100% guaranteed to put a smile on your face: Mariah Carey and The Roots perform All I Want For Christmas Is You on schoolroom instruments. Is there any song that can't be improved with a kazoo? (Hint: no). How can we start a petition to get Jimmy Fallon broadcast in the UK?